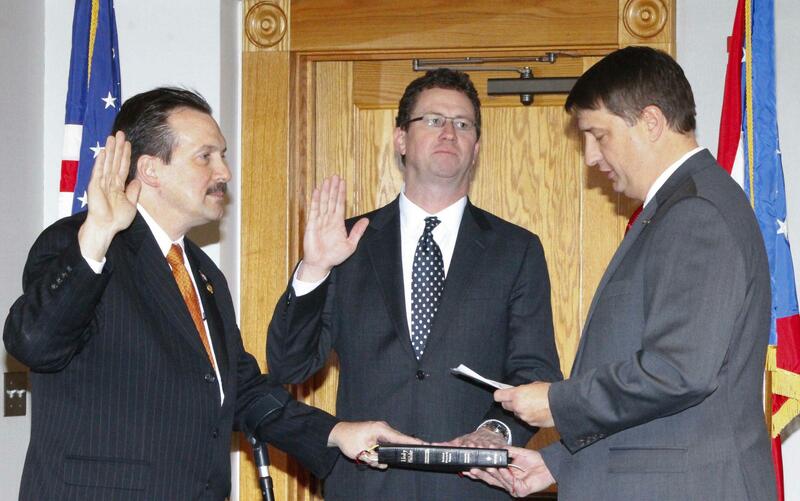 Commissioners Portune and Hartmann take the oath of office from Board President Chris Monzel. Commissioners Portune and Hartmann shake hands after being sworn in. 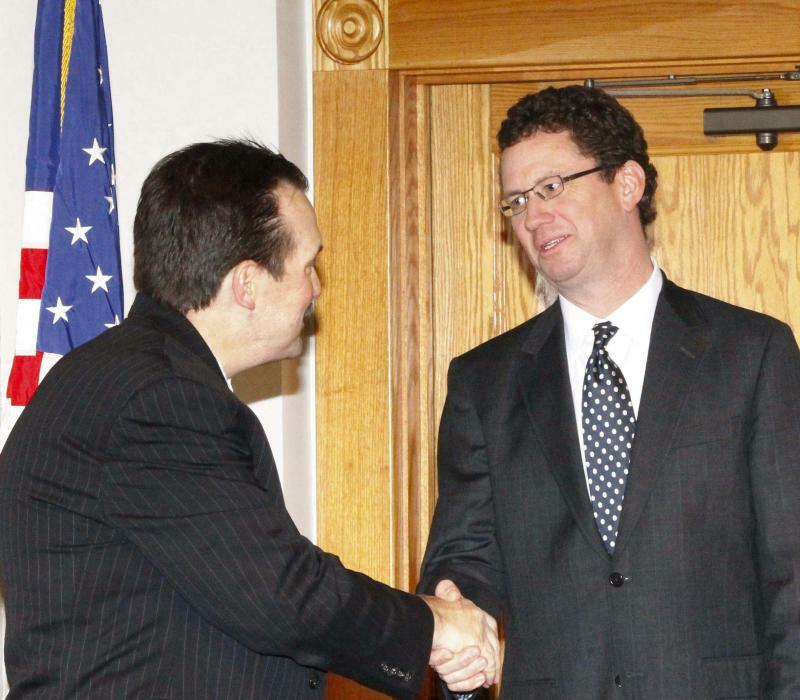 Greg Hartmann and Todd Portune were officially sworn in Wednesday to serve their new terms on Hamilton County Commission. Hartmann repeated his mantra that these are challenging times for county government but says there are bright spots as well, like the county Land Bank. "That Land Bank is really going to be aggressive in dealing with the foreclosure crisis that we've seen here. That was done in a bi-partisan way with the city and the county, being done through our Port Authority - which is another great example as well of our economic development pursuits that we're doing," he says. 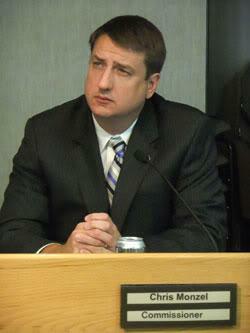 Echoing those sentiments, Commissioner Todd Portune also focused on job creation and transportation infrastructure. "We still have far too high issues of unemployment and joblessness and poverty in our community. And with those issues come the many other challenges that we face. The best answer from a public safety perspective is a job," he says. Though the pair are from opposite political parties, they chose to be sworn in together. Board President Chris Monzel administered the oath of office.